Canberrans love a good garage sale, and every weekend our back streets are adorned with signs directing us to go this way or that in the hope of snagging a great bargain, or finding something we know has been seriously undervalued. But from the owner’s point of view, is all the trouble really worth it? Getting everything together, setting it all up in the early hours of the morning, pricing, manning the stands all day, haggling with bargain hunters…and all the while wondering if you’ve accidentally missed something that’s surprisingly worth a fortune. DIY second-hand selling has become very popular, facilitated by online marketplaces that have made it easier than ever to advertise. 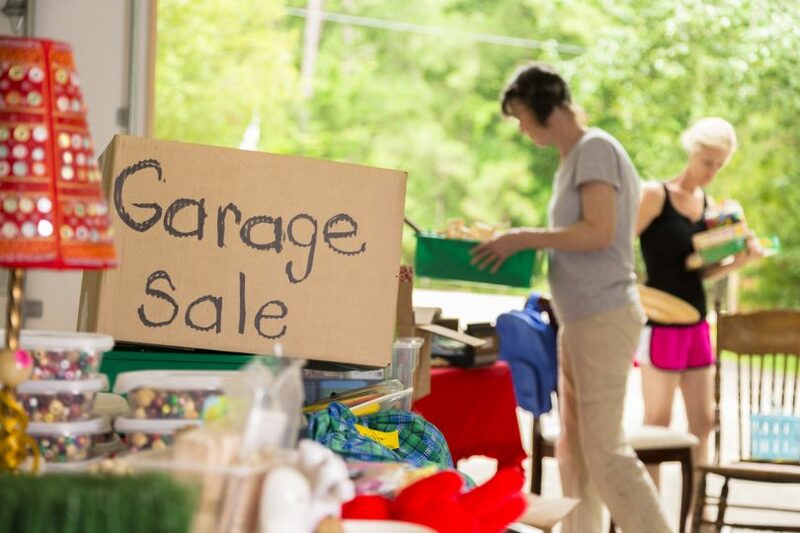 But Rob Evans, CEO of Allbids, says that recent sales on the site suggest people are keen to explore “Garage Sales 2.0” where technology is leveraged to conduct the garage sale via an online auction, omitting the need for haggling and allowing the goods to be sold anytime. Rob says that the main attraction though is getting a prior appraisal so people understand what their items are really worth. He recounts a recent experience where a client was about to have a garage sale, but decided to get an appraisal first. “The valuer went out to see them, to give a rough idea of what everything was worth. The owners were reasonably accurate with most things, until he got to a big mahogany chest. The chest itself was only worth a few hundred dollars, but inside he found a little antique. The owners were going to throw it out or give it away for free, but it was actually worth over $2,500! Allbids also recently had a client from Florey drop in a few cardboard boxes, packed with old knick knacks from around his house. He thought it was all junk and was about to throw it out, but wanted a professional to take a look. For more information about conducting your garage sale via online auction, or getting a free in-home appraisal on your second-hand goods, visit Allbids or call 6239 2262. What’s your experience with garage sales? Have they been painful or profitable? How do you downsize, or declutter, your home? Should you buy or sell a car online?